In addition to our core charitable programs, CKX works with values-aligned partners to support their own pursuit of social change agency. Our agency model brings together the skills, experience and imagination needed to design, develop and deliver social change initiatives that are rooted in our commitment to the use of reflective practices, place-based learning and deep knowledge exchange to spark fundamental shifts in society. These projects allow us to earn income that we reinvest in the agency to support our core charitable programs. Learn more about some of our current and recent social change projects below. A retreat that blended Indigenous and non-Indigenous forms of knowledge to establish a deeper understanding of Indigenous innovation in Canada. When was the last time you took a risk? Across Canada, 32 community-based social change experiments seized an opportunity to experiment and maybe fail. How do we work together as a network to support social change locally and globally? The 2018 Global Impact Hub Strategy Gathering, hosted by CKX in Ottawa, asked this daring question—and even landed on a few answers. What would a community foundation look like if we rebuilt it from the ground up? 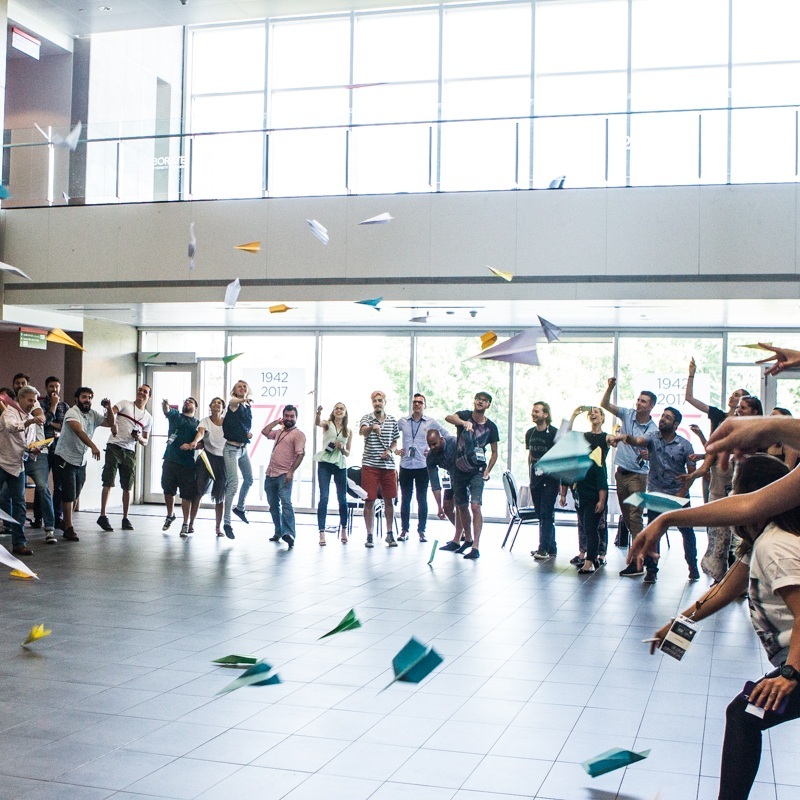 Using design lab principles —including play! 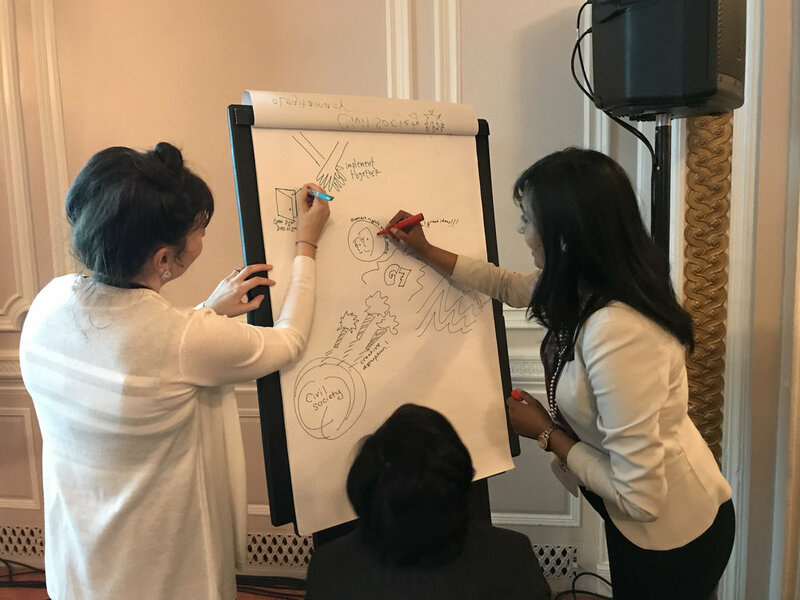 — participants at Belong 2017 reimagined the future of community philanthropy. 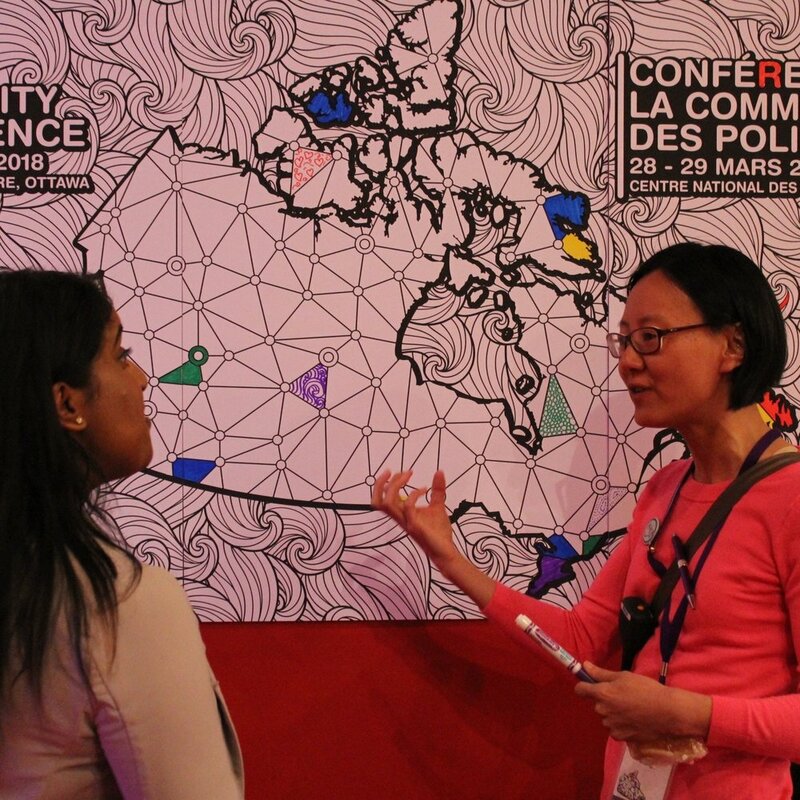 For policy makers across the federal public service, the Government of Canada’s annual Policy Community Conference is the place to connect and discuss modern policy making. CKX helped bring the 2018 conference to life. What would it take to reimagine the relationship between the G7 and Civil Society? Over two days, 100 leaders armed with ideas, experience and plenty of coffee explored that and more. Contact us and see how CKX can support you.